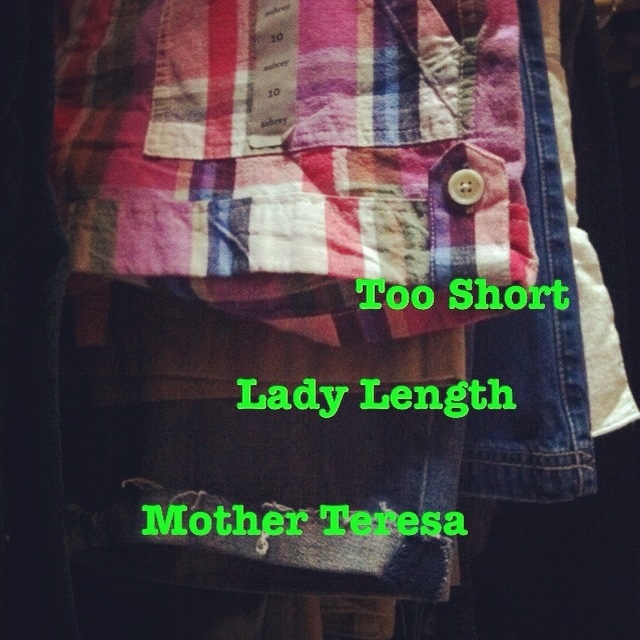 Oh man, if the denim bermudas are “mother teresa” then I’m the dalai llama. I own NO shorts and usually just wear jeans (it’s hot in FL too)! That is usually me, too… well, I wear my bathing suit in the backyard most days… but I decided that this year I was going to go for shorts when I go out in public! It’s actually way more comfortable! Haha… dalai lama… you are too funny!! !